At Shiftbalance, we believe that gender equity will never be reached if men do not question the traditional conception of masculinity. We think most of the conversations focus on women empowerment but 2017 sexual harassment scandals and the #metoo campaign showed us that men need to reflect deeply on what it means to be a man as well. In India, the famous actor Amir Khan challenges the norms of masculinity through his mainstream TV show Satyamey Jayate and his last movie Dangal where a father is teaching his girls to wrestle. But we found that this conversation was not really taking place on the other side of the border. So, last month of March, while we were working in one of the most patriarchal countries on earth, Pakistan, we decided to interview local activists, artists and entrepreneurs about this topic. The result has been the Maard Ban (Be a man) documentary. 28 minutes of interviews from the famous South Asia feminist Kamla Bhasin, the human rights lawyer Jibran Nasir or the UN Women Country Representative Jamshed M Kazi on how men need to be more in touch with their emotions. The new media channel Propagaanda decided to promote our work on their platform. Watch the vlog here! During the month of November, while we were teaching at Beaconhouse Schools young kids about social activism, we had the opportunity to partner with the French Alliance and the French Embassy in Pakistan through the program Open Doors which promotes French artists and intellectuals in the country in order to screen our documentary on different locations. 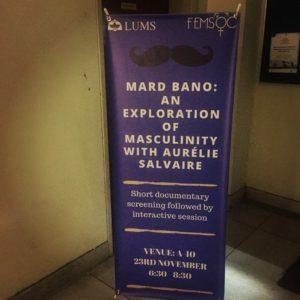 We started in Lahore at the Feminist Comic Con and during the media week from FC College, followed by an intervention at the Feminist Society of LUMS prestigious university, as well as National College of Arts. In Karachi, we had a very intense post-screening debate with the HFem Collective of the prestigious Habib university. The writer Bina Shah and the professor Severine Minot were part of the panel as well as Sadaffe Abid whose campaign #elevatepak promotes the participation of women in panels and conferences. 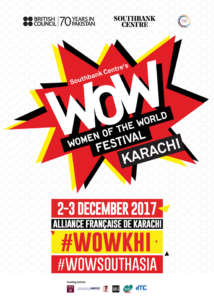 Then we had the opportunity to screen the documentary at the Women of the World event in Karachi. The international event, supported by SouthBank Center and the British Council, showcased the vest feminist initiatives of the country. And then, in Islamabad, we had the best screening of all, at the FACE cultural center, in presence of the French ambassador and of some of the activists interviewed in the documentary. 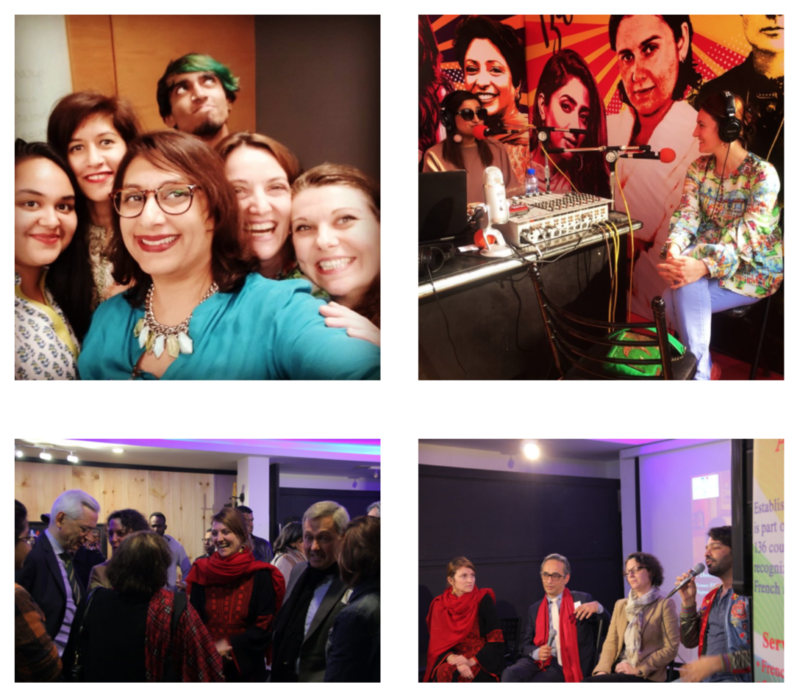 We will be back in Pakistan in February, for more screenings and workshops so stay tuned! Last November 2nd, we were in Paris to screen for the first time our documentary in Europe. We were hosted by the crowdfunding platform KissKissBankBank and we had a great conversation with the audience there! 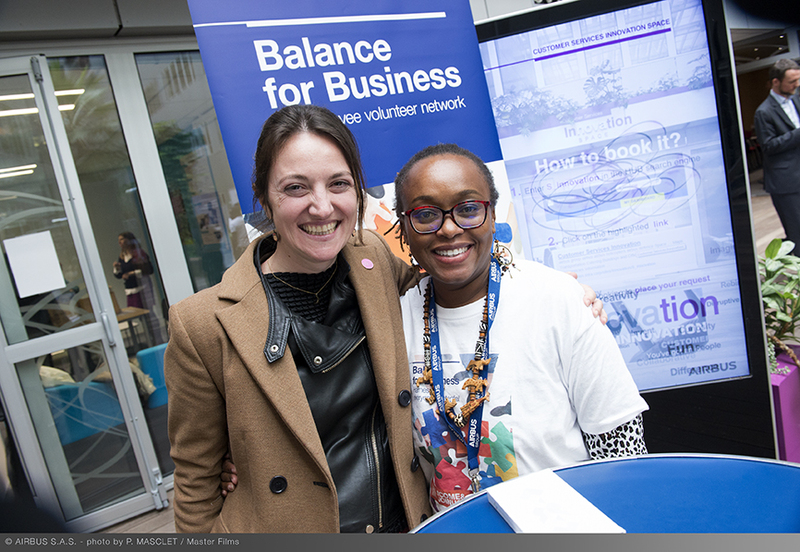 Last month of November, we were invited as guest speaker to the Balance for Business roadshow, the annual event on diversity within Airbus group. 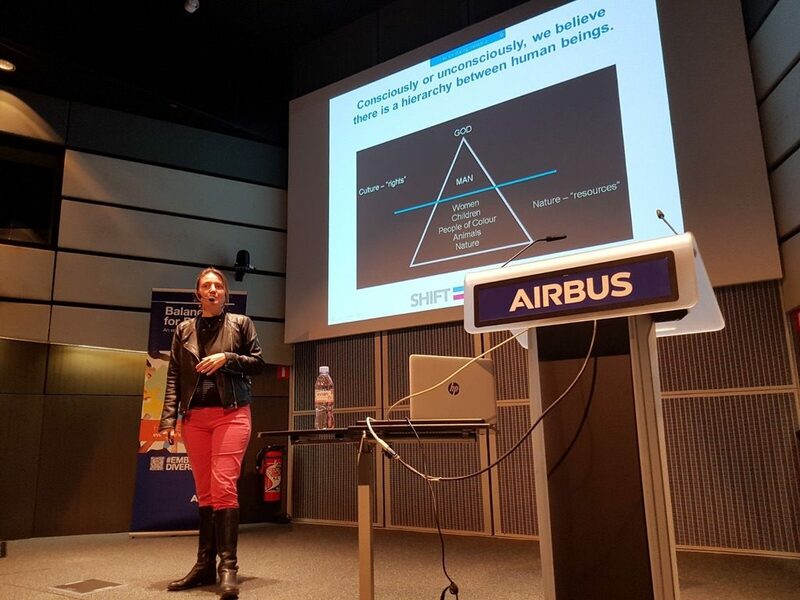 Only 16% women engineers in Airbus, 10% in the expert pool and 4% of the global experts so there is still some room for improvement! The objective of the roadshow, a bottom up organization is to showcase the different internal communities working on a more inclusive workforce, would it be in terms of gender, geographical origin or IQ. You can check here the presentation that we did there.